If the thought of going to the dentist makes your pulse race and your blood pressure sore you may have some dental anxiety. It’s not an unusual or unheard of term. In fact even rational or realistic individuals experience dental anxiety. This is often what keeps some of us from getting routine dental exams. 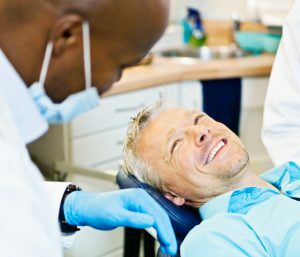 Although dental anxiety is very real it is important to address it because letting it prevent you from visiting the dentist is really not the best solution. Ignoring it will only get worse and will make your dental health suffer. We are not always perfect at brushing our teeth or flossing and over a period of time plaque or tartar can build up even when we are brushing regularly. Often dental anxiety happens due to some past experience. Whatever it may be here are some solutions that may help. Meet and talk with your dentist. Your dentist and/or dental hygienist can ease your worry about your dental visit. They can tell you what the procedure really entails so you know what to expect. Wear headphones. This can help block out sounds. Be sure to discuss this with your dentist before your appointment. Request a numbing agent. Everyone’s pain threshold is different. Don’t be afraid to ask for some a numbing gel or a local anesthesia to minimize pain. Your dentist will only proceed when you are comfortable so you have nothing to worry about. Bring a friend. It may be really beneficial to you to have a friend or loved one near you to comfort and help reduce your dental anxiety. Ask for some anti-anxiety medication. Whether you ask our office or your doctors some anti-anxiety medication may help to reduce dental anxiety during your appointment. Be sure to do this before the day of your appointment. Arrive early. Sometimes it may just take a little extra preparation in arriving early to ease and manage any anxiety you may feel. By using some or all of these tips we know your dental anxiety will improve and your confidence increase. It is important to also have a dental home. A place you can go to and know you will be treated with courtesy and respect. At Newman Family Dentistry in Indianapolis and Carmel we are here to make your experience a pleasant and comfortable one. We know that you may experience dental anxiety and we want you to come to us with any concerns you may have. Schedule an appointment with us today.